Variants Mk. III: Year: 1944. Notes: Same vehicle but for minor changes to the turret and position of the radio. Notes The Mk. II used the same Crusader hull as the Mk. I but had a new revolving turret mounting two 20mm cannons. 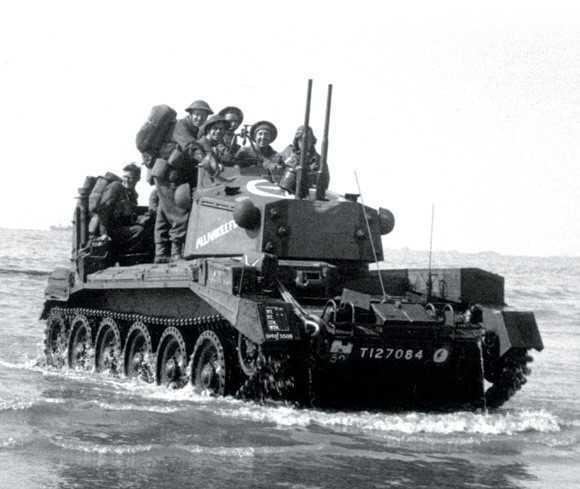 They were used to provide protection against low level aircraft and mainly served in Churchill tank brigades and armoured divisions. These were issued at HQ level. Many were withdrawn later in the campaign as the threat of air attack diminished.